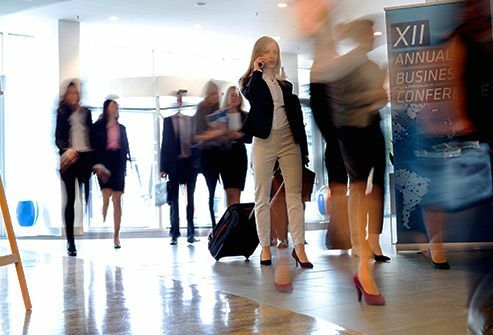 Your cellphone probably goes with you everywhere. Ever check it while you were -- errr -- in the bathroom? And when’s the last time you cleaned it? Ever? It makes sense that there might be bacteria, viruses, or other germs on it. One study found 1 in 6 phones has poop on it. On the bright side, it’s a hard surface, which usually makes it harder for germs to survive. Still, it’s probably a good idea to wipe it down now then. Too much time looking down at your phone can strain your neck muscles and cause tightness or spasms. You might even get nerve pain that goes to your back, or to your shoulder and down your arm. Take breaks at least every 20 minutes to stretch and arch your back. Try not to hunch forward. It helps to hold your phone higher up when you text, too. Posture exercises from yoga or Pilates will help you stay strong and avoid neck pain. Ever pinch the phone between your shoulder and ear while you do something else? It’s not a natural position. Do it for too long and you’ll probably notice that your neck hurts. If you can’t avoid it, take breaks and move your neck in other directions to keep it loose. If the damage is done, simple rest, a heating pad, and over-the-counter drugs for pain and stiffness should help. Talk to your doctor if it lasts more than a few days. 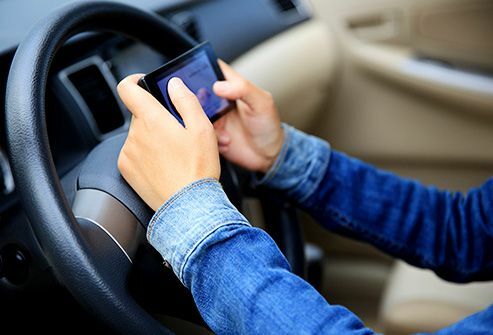 Maybe you think it’s pretty safe to talk on the phone when you drive. It’s not. You’re 4 times more likely to crash when you do it. It is a cause in more than a million crashes a year, or 20% of all car wrecks, including those that injure and kill people. If you really need to take or make a call, pull over. Not waves -- the Internet. Too much of any light after the sun goes down can mess up your sleep, which is linked to diabetes, obesity, heart disease, and other health problems. And the “blue light” your smartphone gives off is especially bad. Keep your bedroom dark for better rest. You can also help your nighttime sleep if you get lots of natural light during the day. You’re walking down the sidewalk and need to send a quick text. How long does it take? A few seconds? Enough time to trip and fall into a parking meter or car traffic. Just stop for a moment. Those seconds aren’t worth an accident. 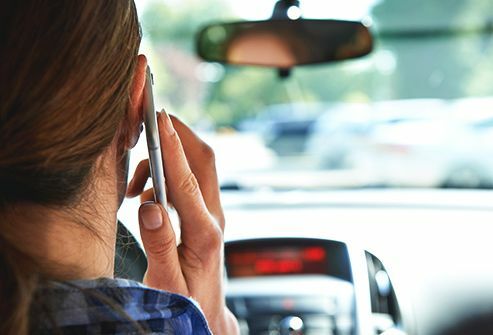 And it’s not just outside: The most common injuries happen while talking on the phone at home -- usually muscle and tendon strains, broken bones, and head injuries. 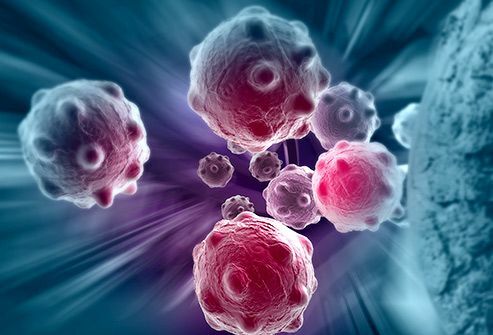 Studies don’t show any solid link to cancer or even tumors in people. It’s something scientists continue to study. 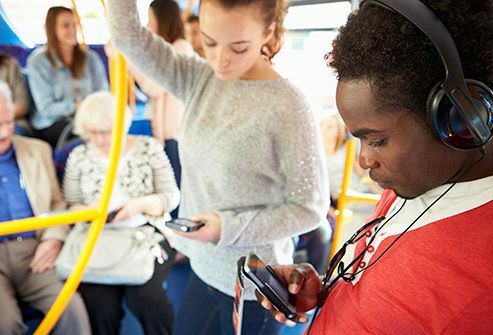 If you’re worried about the radiation from cellphones, you can limit your cellphone use, or use it in speaker mode or with a headset or earpiece. This is when your thumb gets stuck in a bent position or pops when you try to straighten it. This pop can hurt. It happens when the sheath surrounding your thumb tendon thickens so that the tendon can’t slide freely. Lots of texting or typing on a cellphone, or just holding a smartphone tightly, can cause trigger thumb. The treatment includes cutting down on your cellphone use. While it's not clear that cellphone use actually causes thumb arthritis, it can definitely make the symptoms worse. Thumb arthritis causes pain and tenderness at the base of your thumb, where it meets the wrist. Pinching motions, like gripping your phone or texting with your thumbs, are the type that can cause or worsen the condition. Though there’s no cure, rest, medication, and splints can all help. If you lean on your elbows to text or bend them to hold the phone to your ear, it can irritate the ulnar nerve at your elbow. This can cause numbness and tingling in the ring and small fingers, and soreness on the inside of the elbow or forearm. Cushion your elbow on hard surfaces. Don’t bend your elbow for a long time. Take breaks to move your arms in different directions. A night splint to keep your arm straight may help, too. 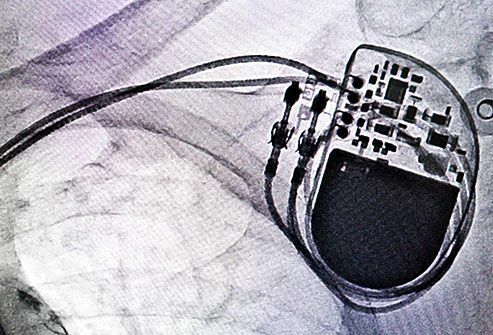 If you use your mobile phone very close to medical devices like pacemakers or implantable defibrillators, they may not work the way they're supposed to. The phones can even interfere with certain kinds of hearing aids. Talk to your doctor if you notice any problems with your medical device, especially if it happens when you use your smartphone. 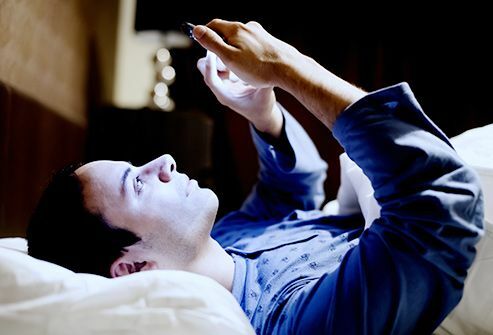 The shorter wavelength of the blue light that smartphones give off can tire your eyes very quickly and cause pain. 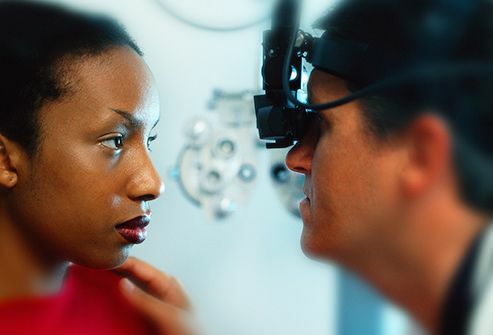 It may even damage your cornea (the clear lens on the front of the eye) and harm your vision. If you notice these problems, it’s best to limit your time with blue-light digital devices like smartphones and computers, or at least to take breaks often to rest your eyes. Phones are distracting for everyone. 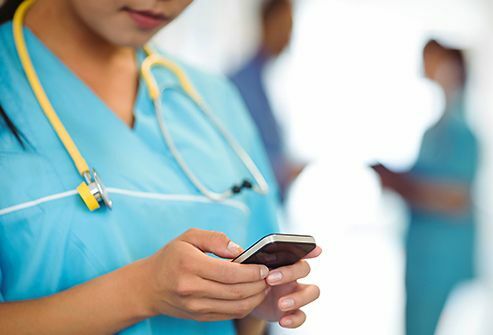 If your doctors or nurses are on their phones, it could make errors more likely. 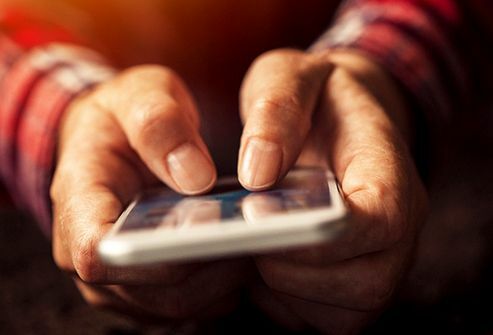 One study found that mistakes in checking symptoms and in proper treatment each went up by more than 12% with just a single interruption by a smartphone. 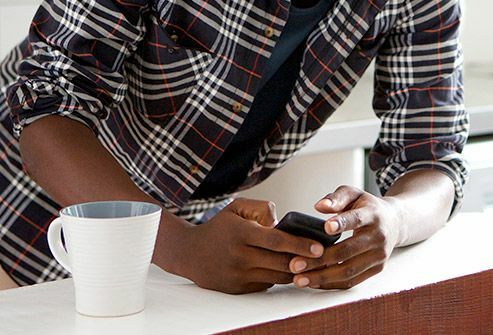 Even if you don’t look at it, just putting a phone in plain view when you talk to someone can get in the way of making a strong connection. It’s especially a problem in close relationships and when you’re talking about something meaningful. Maybe save that social media update for later and focus on the person sitting right in front of you in real life.